Thought you’ve seen it all? 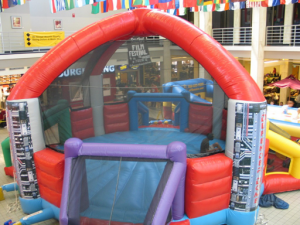 The Defender Dome is the ultimate in Dodge Ball. Over 25ft. of fast paced action. Up to four contestants enter the Dome, each armed with four dodge balls. First person to score against their opponents win!